We have designed our equipment to meet both our drivers’ and customers’ needs. 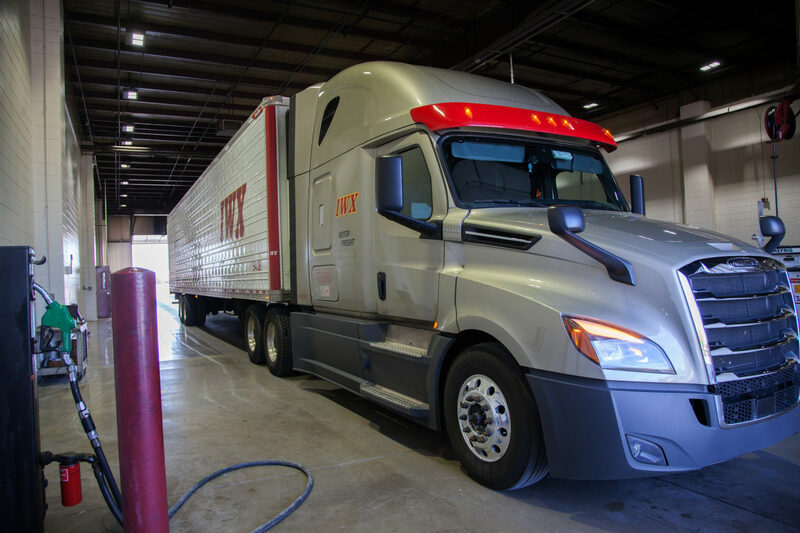 Our Freightliner New Cascadia tractors provide our drivers with all the amenities to provide a safe and stress-free environment. Our Great Dane 53’ XL tall reefer trailers can be loaded like a dry van while allowing us to meet our customers’ temperature requirements. The temperature and location are tracked by Omnitracs and TracKing allowing both tethered and untethered tracking. Our trailers are NIST tested and temperature mapped to assure our customers are getting the best temperature control and monitoring in the business.